Moviewall - Movie Posters, Wallpapers & Trailers. 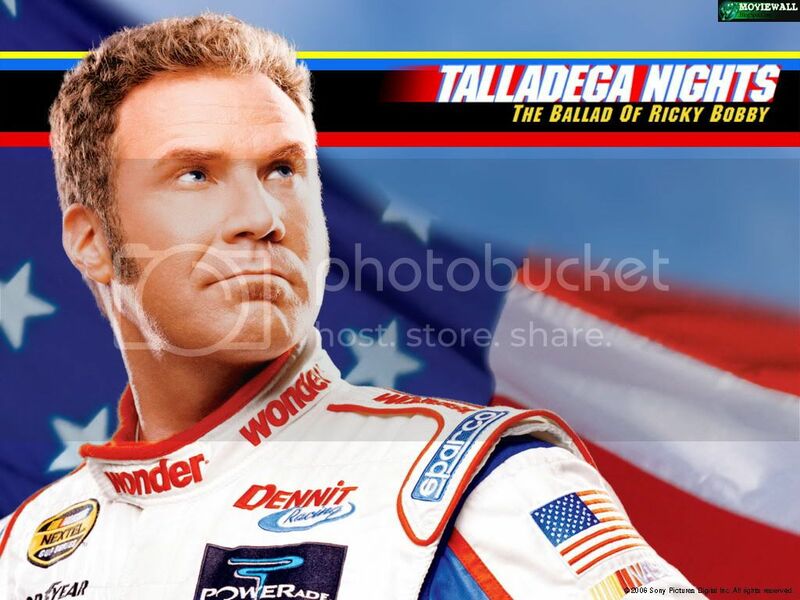 : No one can stop Will Ferrel in "Talladega Nights: The Ballad of Ricky Bobby". 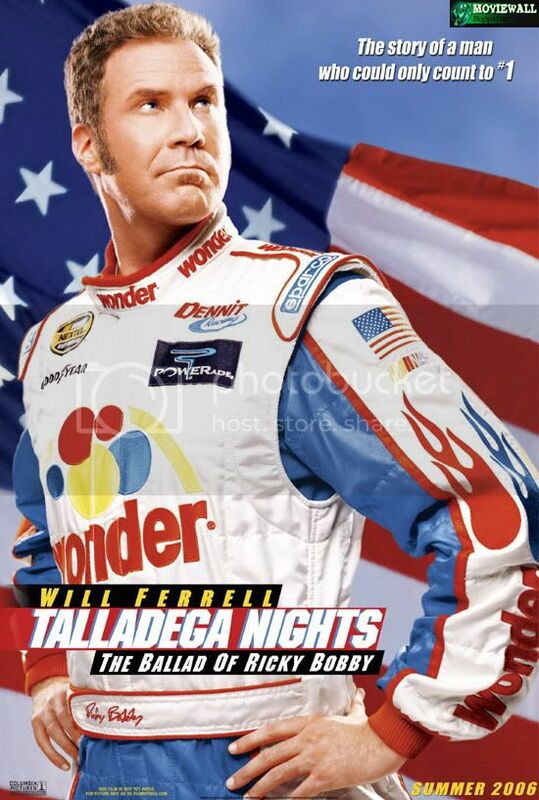 No one can stop Will Ferrel in "Talladega Nights: The Ballad of Ricky Bobby". 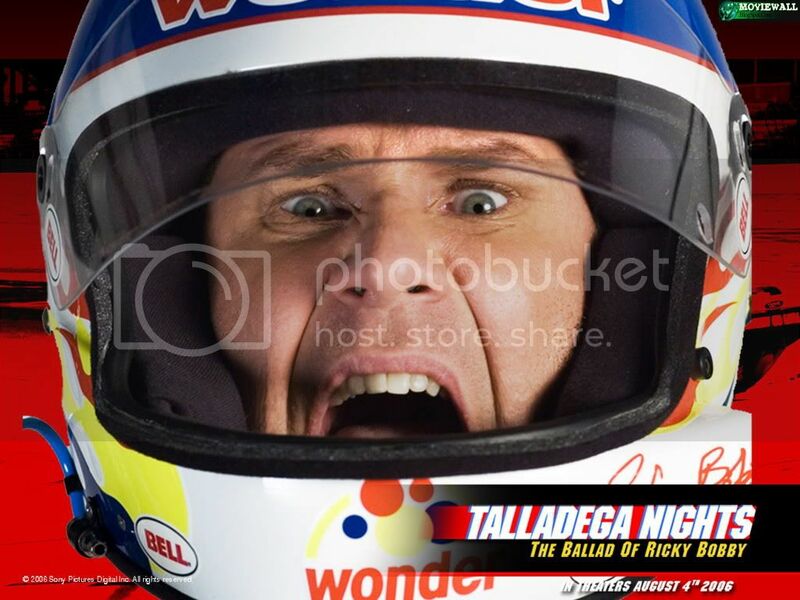 Ricky Bobby (Will Ferrell) is an amazing racing driver, whose leadership in the NASCAR gets suddenly threatened by the arrival of frenchman Jean Girard (Sacha Baron Cohen), a talented and eccentric Formula 1 pilot which challenges him for the championship supremacy. 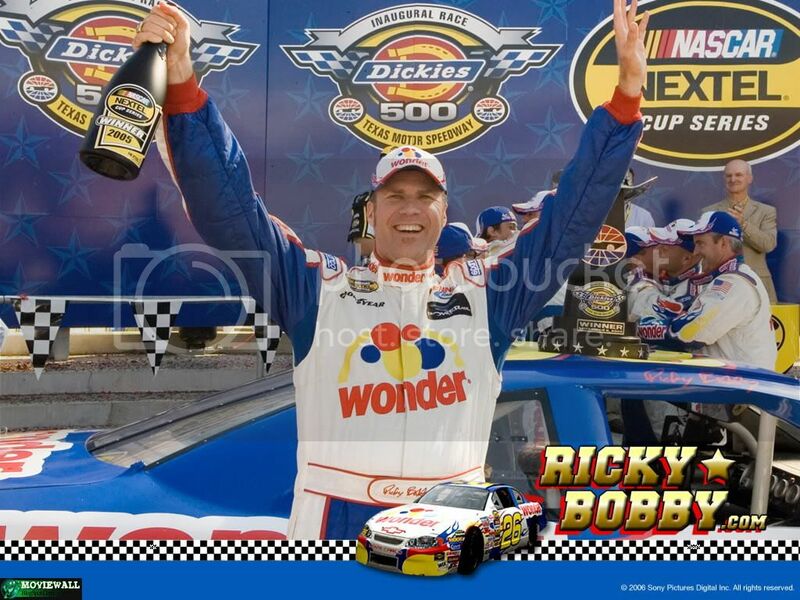 Ricky Bobby is then forced to fight for recovering his place as "The Best NASCAR pilot", in a very crazy and completely hilarious movie. 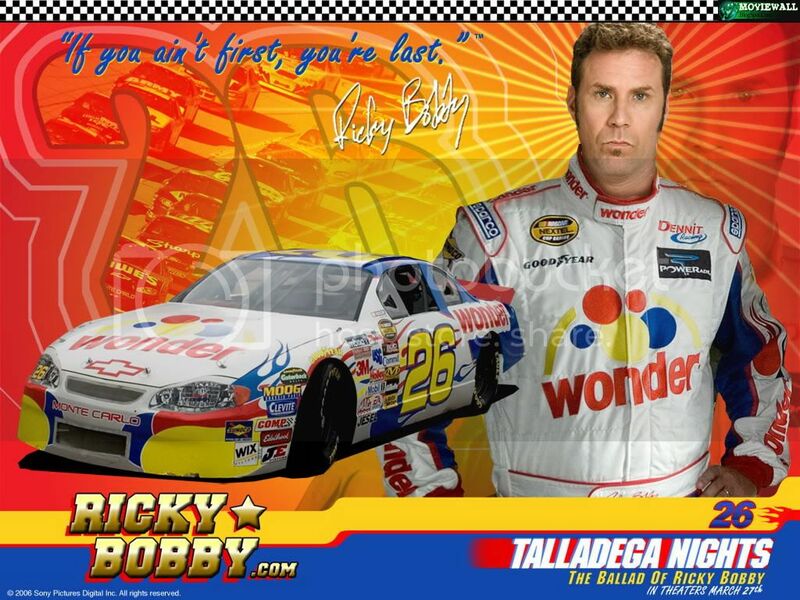 "Talladega Nights: The Ballad of Ricky Bobby" already in theaters everywhere since August 4th, 2006. 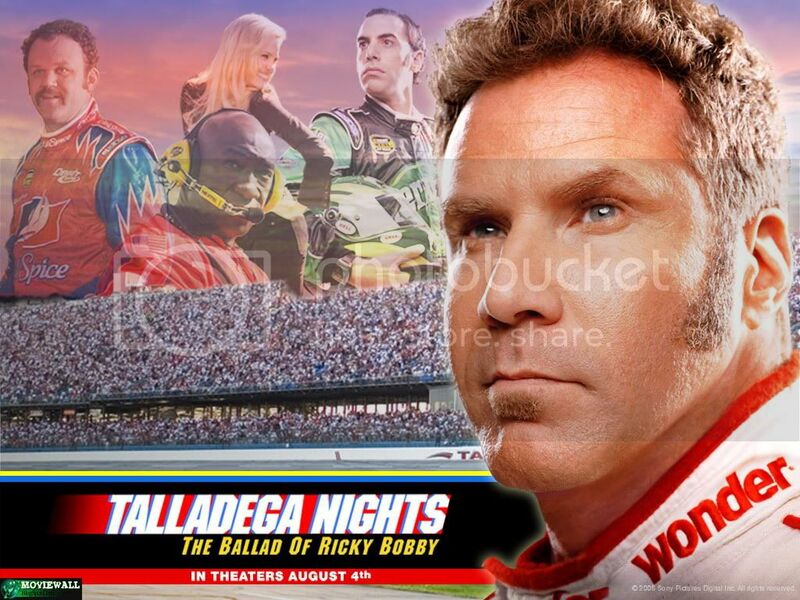 Movie Title: Talladega Nights: The Ballad of Ricky Bobby. 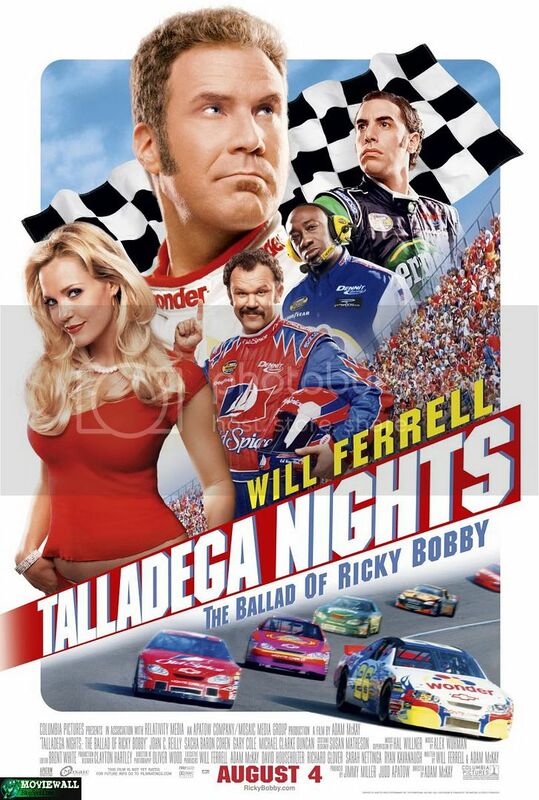 Starring: Will Ferrell, David Koechner, Sacha Baron Cohen, John C. Reilly, Michael Clarke Duncan. 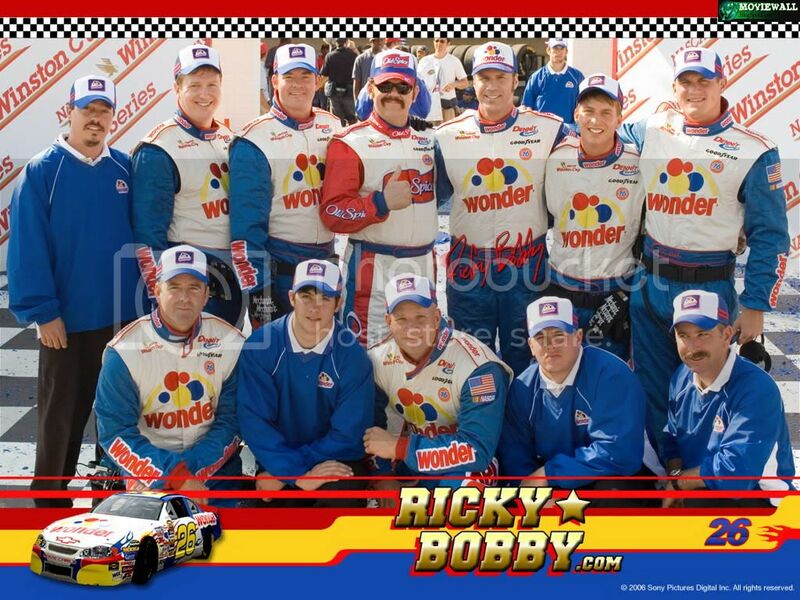 Writers: Will Ferrell and Adam McKay. Genre: Action/Adventure, Comedy and Sports. 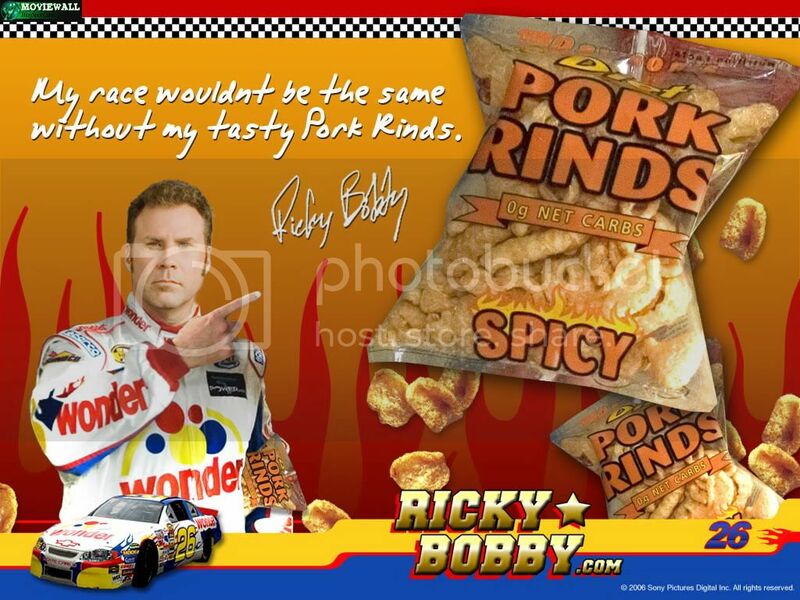 Release Date: August 4th, 2006 (wide).